"Kingdom Hall of Jehovah's Witnesses" - the sign on the building is also provided in Polish. 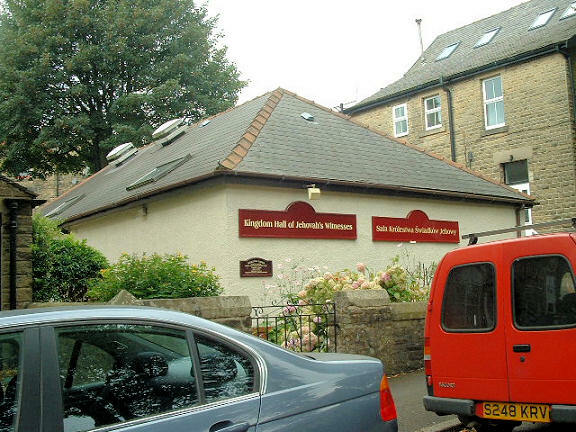 Kingdom Hall of Jehovah's Witnesses, Buxton shown on a Google Map. Information last updated on 22 Nov 2010 at 19:31. This Report was created 29 Mar 2019 - 19:04:31 GMT from information held in the Derbyshire section of the Places of Worship Database. This was last updated on 6 Feb 2019 at 15:49.